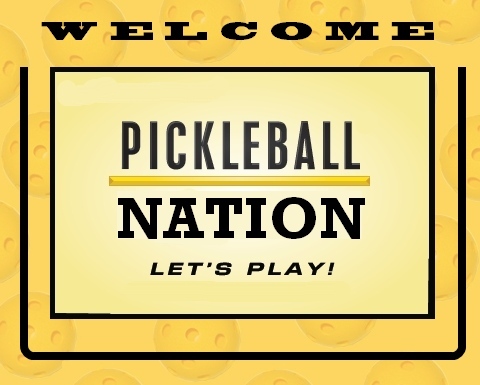 Just a quick word of welcome to our newest members of our Facebook Pickleball Nation. Please keep us posted on your pickleball progress and adventures. Joe LaSpina, Michelle Napoletano, Barbara Newman Bonsignore and Paul Medici. “Cheers To The New Year”, Starting The Year Right! Here at Pickleball Rocks headquarters we are all getting excited for the first tournament of 2013. We will be heading down to Terre Haute, Indiana, to play in the 1st Annual Cheers to the New Year Open Tournament. The tournament will be held indoors at Indiana State University. Terre Haute tournaments are always fun to attend since this is where we played our first ever tournament. We will be packing up and heading south with our two son’s Brandon (3 years old) and Jordan (4 months old) to meet up with GG (Grandma Grubbs) and Papa (The Rocket). The boys always look forward to spending the weekend with GG and getting spoiled. My wife and I are excited to play together for the first time since having our 2nd son Jordan on August 31. Last time Abby played in a tournament she was about 6 months pregnant. Abby was an All American basketball player at Bethel College, so she loves to compete at anything! Michigan for a tournament to play with the Rocket. (The picture on the left was our Kalamazoo base camp for Brandon’s first tournament.) GG was there to help watch Brandon while I played, but it was so much fun to have all the grandparents coming up to my mom and offering to hold him. Pickleball has been great for our family and we look forward to a bunch of mini vacations in 2013 traveling with our family and hanging out with our pickleball friends. I look forward to letting everyone know how the tournament goes. So stay tuned! May your new year be filled with good health and lots of pickleball! And as always, Pickleball Rocks!